El Castillo (Kukulkan) is the towering icon of Chichen Itza. 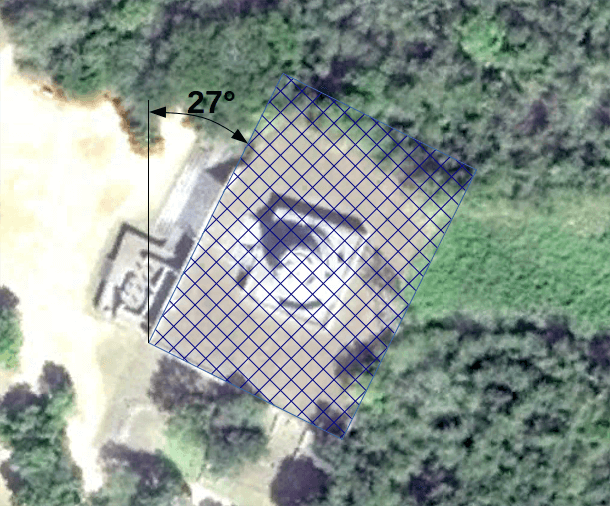 Our research shows that certain monuments in Chichen Itza, a large pre-Columbian city in Mexico, appear to be oriented to different former geographic poles. Several structures have been reoriented following several shifts of the Earth’s crust. The age of Chichen Itza spans a period of more than 250,000 years. The probability that this claim is NOT true is a whopping 1 to 992,500. Chichen Itza is one of the most important Mayan cities. The site is located on the Yucatán Peninsula in Mexico. The Pyramid of Kukulkan, also called El Castillo, is the towering icon of Chichen Itza. Academics say that the city was built by the Mayans around 600 A.D., however, recent excavations show that there are structures beneath the current ground level, which suggests that the site could be much older than previously thought. In former articles, we showed how the orientation of a large collection of pyramids and ancient temples (>910) around the world reveal the locations of former geographic poles. Our analytical method is purely mathematical, which reveals the locations of former geographic poles with probabilities of more than 99.99999%. It is crucial to understand our method described in this article and thus obtain a clearer vision of the true age of our ancient history. Chichen Itza has a collection of pyramids and buildings which are oriented in a seemingly chaotic manner. Why is the site organized in such a chaotic manner? What prevented the builders to construct a logical, cardinally oriented city? When pyramids are oriented to a former geographical pole, as we explain in other articles of this series, this question suddenly starts to make sense. How long ago could this former pole have been there? Not 1,500 years ago, because such a global catastrophic event would not have gone unnoticed and it certainly would have been documented by the Greek and Romans. No, we are talking here about hundreds of thousands of years ago – and that is a stunning conclusion indeed. Just recently, researchers discovered another pyramid beneath El Castillo. The current El Castillo was built upon an older pyramid, which in turn was built on an even older pyramid. However, the orientation of their foundations never changed. Fig. 3: Chichen Itza was restored in the early 20th century. It was in a dilapidated state and covered with a literal mountain of earth. But what is the true age of Chichen Itza? How many times has it been previously restored? We have proved that the “Mayans” were not the original builders, but only the restorers. Just recently two smaller clearly much older and similarly oriented pyramids were discovered underneath Kukulkan. All signs are there, but only a few can see the truth. Fig. 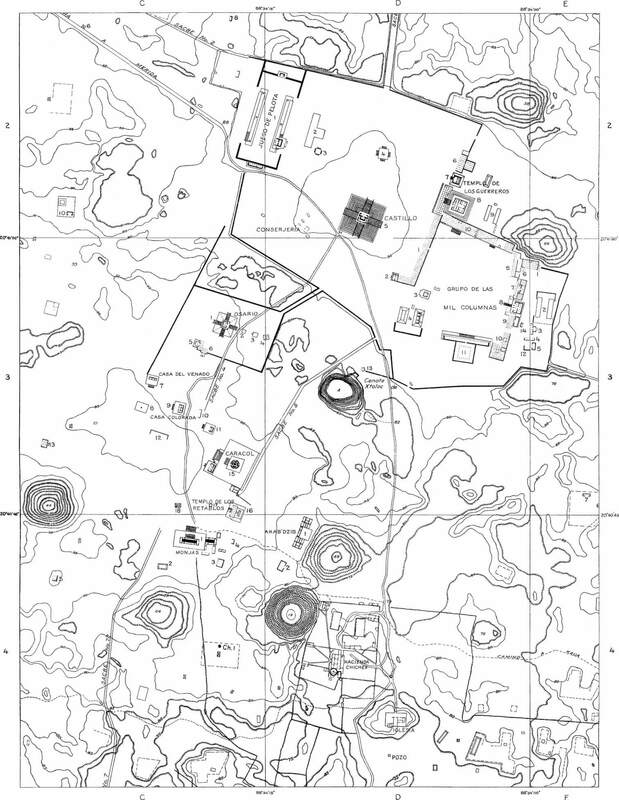 4: This is one of the best maps of Chichen Itza. We have used this very accurate map to investigate the orientation of the 46 buildings on this map. Note that the orientation pattern of the city is seemingly chaotic and but that none of the monuments is counterclockwise oriented. The odds for such a clockwise pattern to arise coincidentally in this way is a whopping 1 to 70 trillion. That is how and why we know it is artificial and how old they are. Most of the monuments were oriented to one of the very ancient poles. All of the important monuments on this map correlate with the poles I to IV. Clearly, the city of Chichen Itza blossomed during the long stable period of Pole IV, which is between 240,000 and 270,000 years ago. Archaeologists have not even noticed this pattern while they pretend that their age determination of these structures is correct. 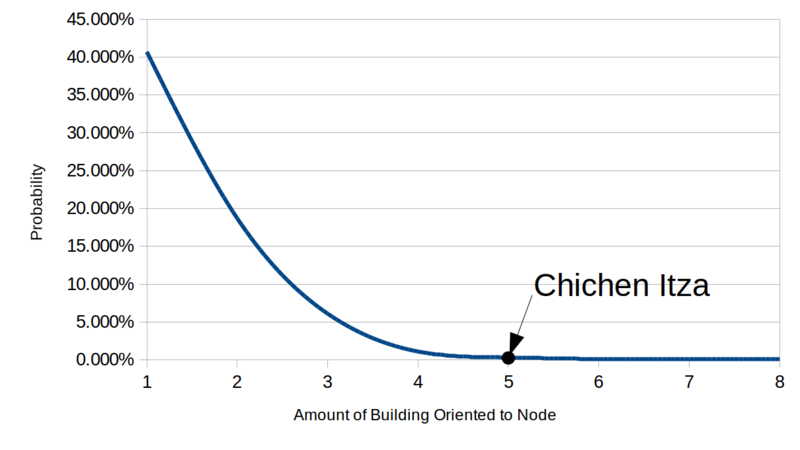 Table 1: The quantity of monuments on Chichen Itza that correlate with the proven mathematical nodes (Poles I to IV) is exceedingly high. Coincidence is excluded. Fig. 5: Most people have heard of the Gaussian Curve. Imagine how much chance there is before a small peak shows up at 37 on the X-axis. This chance is almost ZERO. This is how we know that seemingly unrelated events are intimately connected. Invisible to the empiricist scientific community, visible for mathematicians. It is the ultimate proof of a deeply hidden truth. After analyzing the data, it becomes apparent that the monuments of Chichen Itza were not built during the same period. They were built during subsequent time periods, following the deformation cycles of the crust with surgical precision. 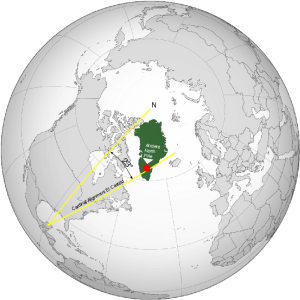 A staggering number of monuments, 37 of the total 46, were oriented to one of the former geographic pole positions. The oldest peak of this specific culture is between 240,000 and 270,000 years old and is related to Pole IV. You might want to read the extensive article on the home page to understand this conclusion. The culture that built the first series of structures, such as the pyramid of Kukulkan, survived the cataclysm when the crust moved from position IV to position III. After the Earth’s crust stabilized at position III, the culture started to build a new series of monuments, known as the Thousand Columns Group or Grupo Mil Columnas. These monuments were dominantly oriented to Pole III and less dominantly to Pole II and Pole I. The tradition, after each cataclysm, to build new monuments and to orient them to the new pole, appears to be a gold mine to reliably date this site. Why is Chichen Itza Oriented Like This? They are perfectly oriented to the current geographical pole. Why? Because every important structure, temple or pyramid is aligned to true North (cardinally aligned). So, why is El Castillo oriented in this special way? And why is El Caracol, an astronomical observatory, oriented like this? 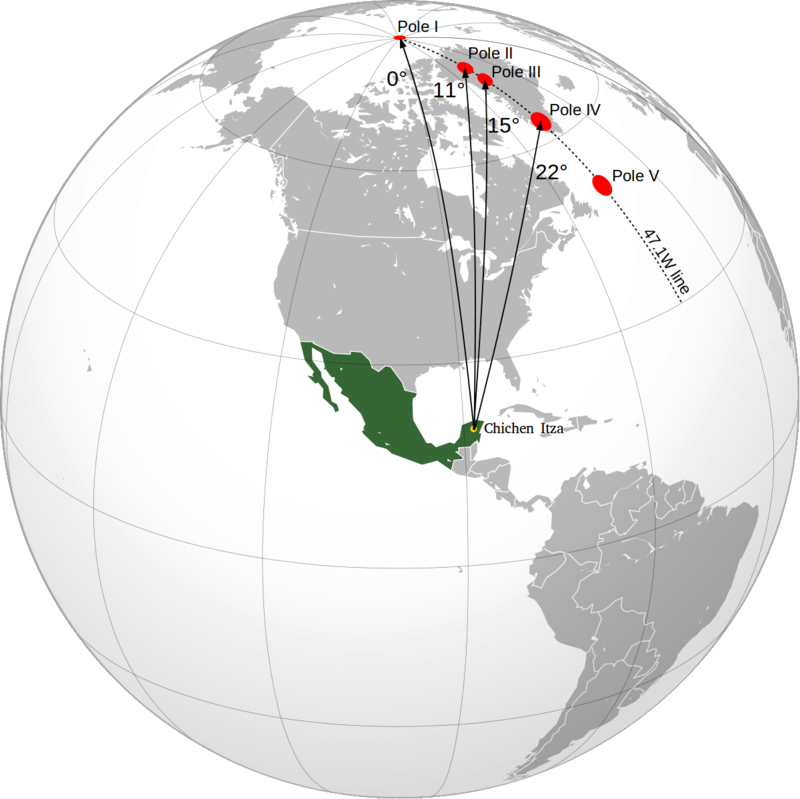 And why are only 6 of the 46 monuments on Chichen Itza cardinally oriented? And why are they not all oriented in the same direction? The answer is in the numbers. It is the only undisputed proof of their true age. Fig. 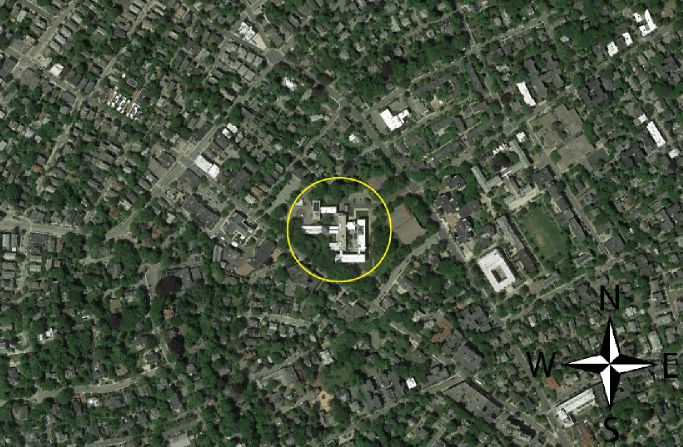 8: The only ‘rationally’ oriented building in this area is the Harvard Observatory – it is oriented to true North. The circle denotes it. But why is it oriented like this? This way of orienting takes more space and is more expensive – because it is the norm – the standard. Many cities in the US, like Los Angeles, Chicago, Houston, and Phoenix, are mainly North-South oriented (cardinally aligned). Why is that? If the cities are not cardinally oriented, like New York, or Philadelphia, there was probably a geographic reason for it, like coastlines, rivers, old highways, or mountain ranges. If nothing obstructs or impedes the building process, a cardinal orientation is the only logical thing to do. For an observatory, a cardinal orientation also seems the only logical thing to do, although these days with modern GPS system, it is not necessary anymore to orient the building in a cardinal direction. But it is still the default value of good proficiency, comparable with the use of terminology among professionals. A good architect does not only design a functional building, but also a building that is adjusted to the seasonal influences, such as the incidence of light, and the orientation to the rising and setting sun. Most architects have a deep desire to orient North-South or East-West. When an architect designs an observatory, what would be the main things this architect would consider? 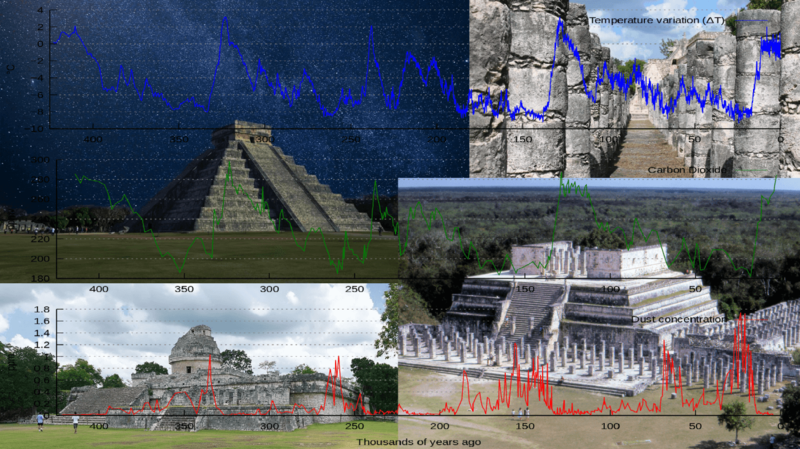 Was Chichen Itza an Astronomical Observatory? Fig. 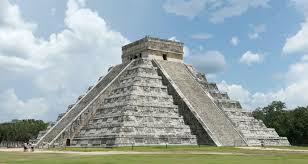 9: El Castillo or the Pyramid of Kukulkan is the towering icon of Chichen Itza. It was once cardinally aligned. A very long time ago, El Castillo was initially cardinally oriented. Every important structure or pyramid was either once cardinally oriented or still is, as in the case of the pyramids of Giza. The site of Chichen Itza is that of a huge astronomical observatory that has been rebuilt and reconstructed hundreds of millennia ago, after a series of major global catastrophes. But the foundations never changed its orientation. The renovations were done on top of the old foundations – a practice which is still applied today. After every earth crust displacement, which was catastrophic over an extended period, the site was restored and enlarged with new pyramids, which were then oriented to a new geographical pole. Fig. 10: This is how “expert” archaeologists inform the public regarding the use of the pyramid of Kukulkan, saying that the structure commemorates a snake descending from the stairs around the solstices. The why’s and how’s of the pyramids never get explained. 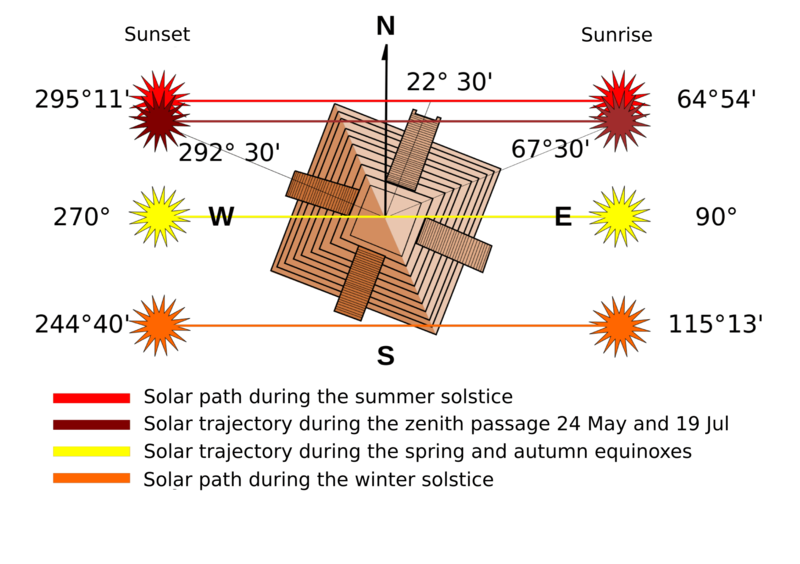 Of course, when one KNOWS when the solstices occur, it is easy to fool people with a fancy show and tell them a crazy story that they invariably end up believing. Archaeologists have not considered even for a split second that they might be completely wrong. Our method proves that the pyramid of Kukulkan was once cardinally oriented and built between 240,000 and 270,000 years ago. This claim holds a certainty of more than 99.9998%. The towering icon of El Castillo is the main attraction of Chichen Itza. El Castillo is perfectly square. It does not seem to favor any of the four current cardinals. 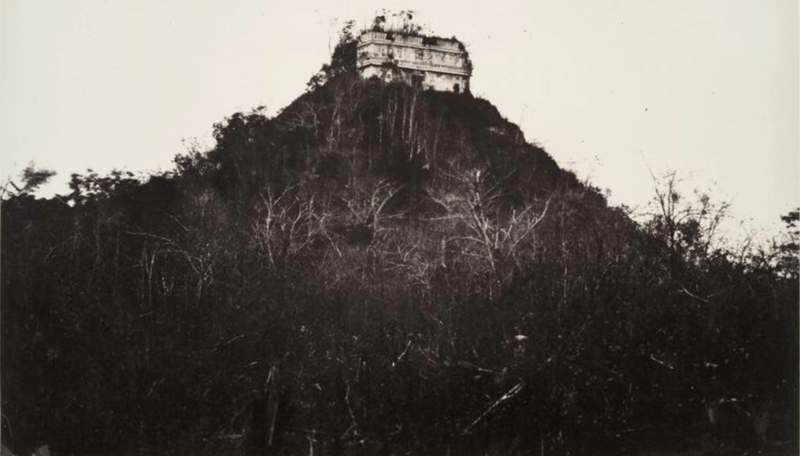 However, the current El Castillo was built on top of another, older pyramid that is orientated in the same way. Archaeologists only recently discovered this phenomenon. El Castillo is a so-called step pyramid, with stairs on four sides and a plateau with a ‘temple’ on top. The four flights of stairs have 91 steps each, plus the platform as the last step. In total, El Castillo has 365 (4×91+1) steps, as many as there are days in a year. The pyramid is 30 meters high, including the ‘temple’ and is obviously related to one solar cycle. Here, we are talking about the orientation of the foundation of the original El Castillo that was renovated by our modern society at the beginning of the 20th century. It was probably renovated many, many times before that, by unknown ancients. It has always been reconstructed upon that same old foundation, which remained oriented to a very ancient North pole. Table 2: Our database shows 64 structures from all over the world that are oriented to and converge on the same nodal location. Above, we show only 8 examples from that selection. The odds that 64 randomly-spread structures cross that same small area coincidentally is less than 0.00000167%. In our comprehensive article “Lost Civilizations and Earth Crust Shifts“, we explain why eccentricity correlates with ice ages. 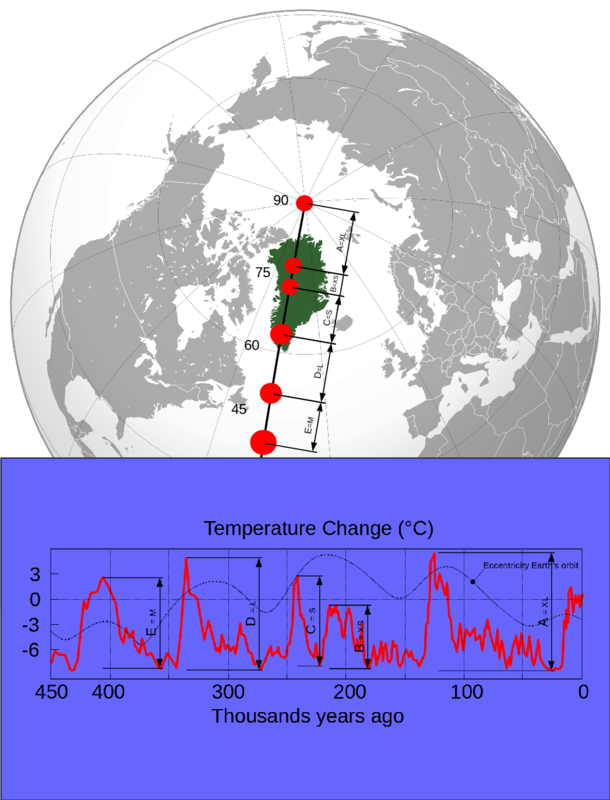 Earth crust displacements correlate with the ‘descending edge’ of the glaciation graphs and correlate 1:1 with the eccentricity cycles. Humanity is much older than we have learned in school. The paradigm of “history,” imprinted in our brains from our early youth, is nothing more than a thick veil of ignorance.